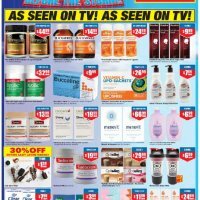 Chemist Warehouse New Zealand takes your pharmacy experience to a whole new level, including FREE PRESCRIPTIONS! Conditions apply. See in store for details. You won’t beat their friendly service and unbeatable prices across authentic fragrances, vitamins, weight loss, baby care products and so much more. April Catalogue is out now!